The worst part of buying a new computer is the fact that you have to backup your stuff in the old PC and move it all to the new one. Luckily there are some software apps that can help you with that. One of them is FEBE, which stands for Firefox Environment Backup Extension. As it name states, this Firefox add-on lets you create a backup copy of all the important information in your browser (bookmarks, extensions, preferences, themes, cookies and more) and restore it in a different location, all in a very easy way. 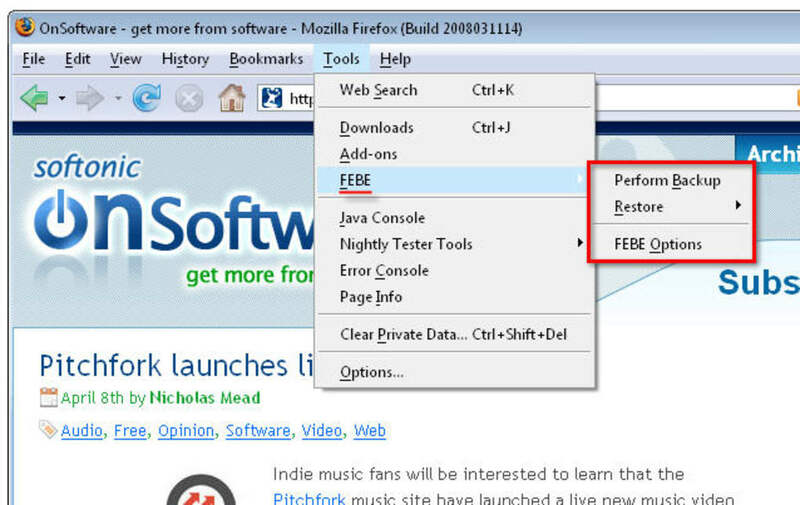 With FEBE you can then have a perfectly synchronized copy of Firefox in each one of your computers, be it your desktop and laptop or home and office computers. It's also a great tool to have a backup copy of your browser just in case it crashes or if you want to test new versions without taking any risks. And if you can't be bothered creating a backup copy by yourself, use FEBE's scheduling tool and let the extension take care of it. FEBE is seamlessly integrated into Firefox interface: open the Tools menu and you'll be able to access the extension's options menu and main functions. The only drawback we could find to the extension is the sounds played by the program when displaying any warning: they're a bit annoying so remember to turn them off in the settings menu. If you want to have a complete backup copy of all your Firefox data or need to move Firefox settings from one PC to another, this is the tool you're looking for. 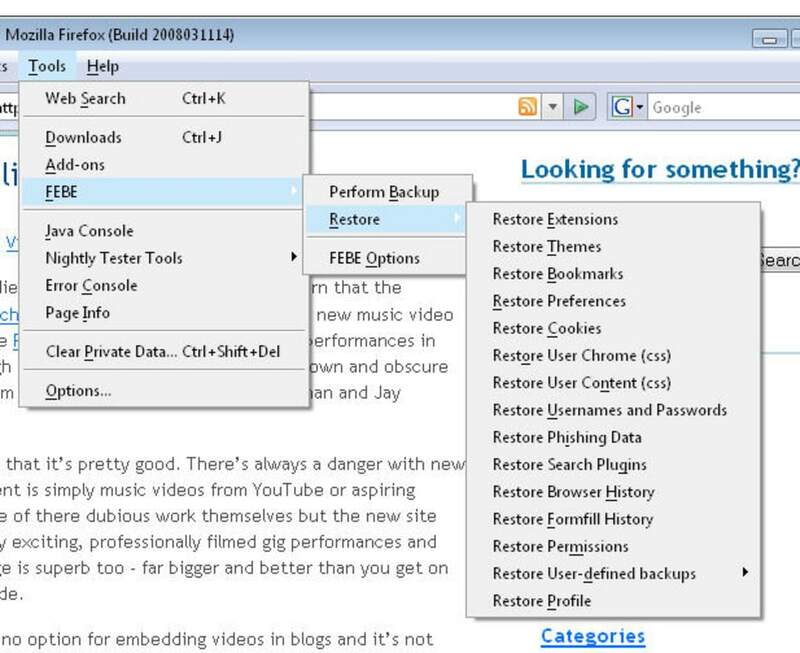 FEBE allows you to quickly and easily backup your Firefox extensions. In fact, it goes beyond FEBE license plate just backing up -- It will actually rebuild your extensions individually into installable .xpi files. Now you can easily synchronize your office and home browsers. FEBE backs up and restores your extensions, themes and (optionally) your bookmarks, preferences, cookies and much more. Backup as little or as much of your Firefox environment as you wish. 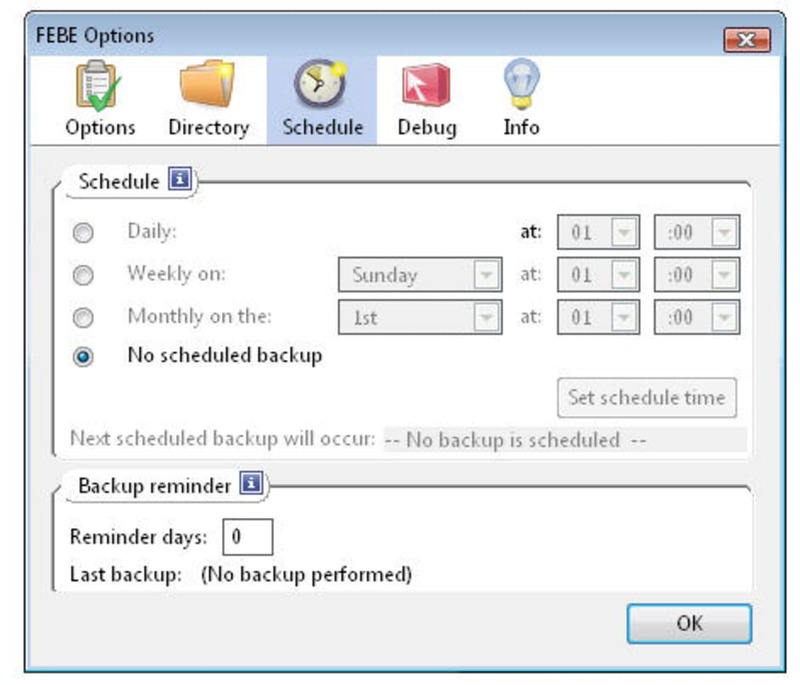 Perform backups on demand or schedule daily, weekly, or monthly unattended runs. Sequential backups can be stored in timestamped directories so you can restore back as far as you like. You may specify "User-defined" items to have FEBE backup Thunderbird, Greasemonkey scripts, or virtually any data on your computer - Firefox related or not. 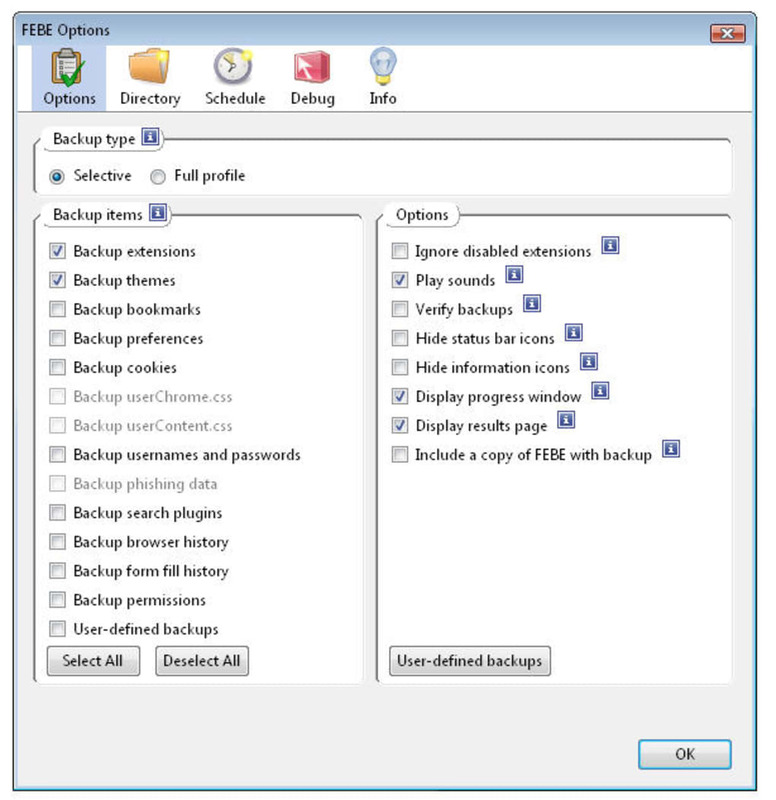 What do you think about FEBE (Firefox Environment Backup Extension)? Do you recommend it? Why?